The research project presented in this paper deals with the development of a creative evolutionary design methodology for layout problems in architecture and urban planning. To date many optimisation techniques for layout problems have already been developed. The first attempts to automate layout were undertaken back in the early 1960s. Since then, these ideas have been taken forward in various different manifestations, for example shape grammars, CBS, cellular automata and evolutionary approaches. These projects, however, are mostly restricted to very specific fields or neglect the creative, designerly component. 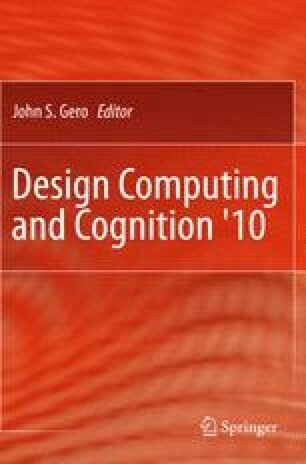 Since pure optimisation methods are of little practical use for design purposes, there have been no useful attempts to derive a universally applicable method for computer aided layout design. For this we need to be aware that designing is a process that occurs at different levels and degrees of abstraction. The solution space is explored in the realm between intuition and rationality in a variety of ways. Good solutions can only arise through an intensive and fluid dialogue between the designer and the generating system. The goal of our project is to develop an adaptive design system for layout problems. To this end we examine different approaches to achieving the best possible general applicability of such a system and discuss criteria that are crucial for the development of such systems.